The results suggest that we have largely achieved success in the appropriate use of RT after BCS in metropolitan areas like those we studied, but more attention needs to be paid to the use of RT after mastectomy. We found that surgeon participation in the RT decision was a powerful correlate of use. This underscores the need to focus physician attention on potential gaps in treatment delivery. We also found that patient concerns about radiation were negatively associated with RT use. This is important because patients with these concerns may choose mastectomy with the intention of avoiding radiation, resulting in a higher prevalence of these concerns in patients undergoing mastectomy than undergoing BCS.43 Thus, it is important to consider these concerns when informing these patients about RT. Our findings suggest that initiatives to ensure that surgeons are informed about the role of RT after mastectomy, to encourage provider participation in the postmastectomy RT decision, and to improve patient education in this setting, would further optimize care for patients with breast cancer. US breast cancer radiotherapy regimens of the 1970s and early 1980s appreciably increased mortality from heart disease and lung cancer 10–20 years afterwards with, as yet, little direct evidence on the hazards after more than 20 years. Since the early 1980s, improvements in radiotherapy planning should have reduced such risks, but the long-term hazards in the general populations of various countries still need to be monitored directly. Measurement of mean cardiac dose for various breast irradiation techniques and corresponding risk of major cardiovascular event. 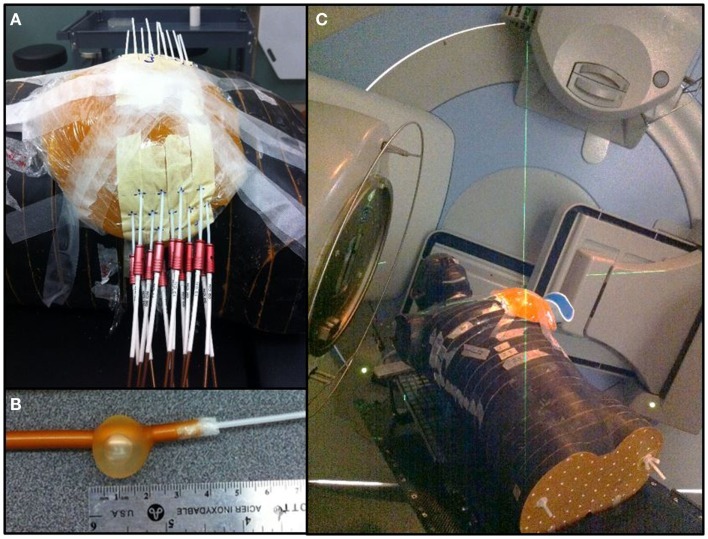 WBI lead to the highest mean heart dose (2.99 Gy) compared to 3D-CRT APBI (0.51 Gy), multicatheter (1.58 Gy), and balloon HDR (2.17 Gy) for a medially located tumor. This translated into long-term coronary event increases of 22, 3.8, 11.7, and 16% respectively. The sensitivity analysis showed that the tumor location had almost no effect on the mean heart dose for 3D-CRT APBI and a minimal impact for HDR APBI. In case of WBI large breast size and set-up errors lead to sharp increases of the mean heart dose. Its value reached 10.79 Gy for women with large breast and a set-up error of 1.5 cm. Such a high value could increase the risk of having long-term coronary events by 80%. Comparison among different irradiation techniques demonstrates that 3D-CRT APBI appears to be the safest one with less probability of having cardiovascular events in the future. A sensitivity analysis showed that WBI is the most challenging technique for patients with large breasts or when significant set-up errors are anticipated. In those cases, additional heart shielding techniques are required. In summary, we found that rates of concordance with definitive guidelines for PMRT were high. Appropriate use of PMRT among the high-risk cohort was the rule, while overuse of PMRT among women with low risk disease occurred infrequently. The only factor associated with underuse was non-receipt of chemotherapy, suggesting that care may appropriately reflect patient preferences. Although overuse was rare, it appeared to be driven by provider biases, and in particular, a tendency to treat women with higher risk disease more aggressively despite the absence of consensus opinion supporting this approach. Finally, we found considerable variability in the use of PMRT among women at moderate risk of recurrence, highlighting the need for focused clinical research in this group. In its report “Ensuring Quality Cancer Care,” the National Cancer Policy Board5 recommended the use of radiation therapy following breast-conserving surgery as a good process indicator to study the quality of cancer care. Indeed, prior studies have largely focused on the use of radiation therapy after breast-conserving surgery as such a measure. Radiation therapy after mastectomy may also be an important quality indicator and national target for intervention, given its significant survival impact and the large number of lives at stake. The challenge will be to develop a quality monitoring system that includes sufficient clinical detail to identify women most likely to benefit from PMRT. Vrouwen waarvan de linkerborst is bestraald na een operatie blijken een veel groter risico op hartklachten te hebben als zij de kanker overleven dan vrouwen waarvan de rechterborst is bestraald. Er bleek gemeten over mediaan 12 jaar een verschil te zijn voor de linkerborst t.o.v. de rechterborst van 51% en is hoog significant. (8% om 59%). Dit blijkt uit een gerandomiseerde studie bij 961 vrouwen en de studie is gepubliceerd in Clinical Oncology. NEW YORK (Reuters Health) - Women with early-stage cancer of the left breast who are treated with radiation as a component of breast-sparing treatment, have an increased risk of developing radiation-related coronary damage, researchers report. Nevertheless, "the benefits of radiation therapy for breast cancer still clearly outweigh the risks," Dr. Candace R. Correa told Reuters Health. "However," she added, "there may still be room for improvement in radiation techniques," when radiation is applied to the breast on the same side as the heart. Correa, at the University of Michigan, Ann Arbor, and colleagues examined the medical records of 961 stage I-II breast cancer patients to look into this issue of radiation damage to the heart's arteries. At the time they were diagnosed, women with left-sided and those with right-sided breast cancers had the same likelihood of developing coronary artery disease. At an average of 12 years after radiation treatment, 46 of the 485 left-sided women and 36 of 476 in the right-sided group had needed cardiac stress testing, the team reports in the Journal of Clinical Oncology. The results showed that among those tested, 59 percent in the left-sided group had abnormalities, significantly more than the 8 percent in the right-sided group. "Careful monitoring and long-term follow-up to assess these risks ... is important," Correa stressed. For patients, she added, "it is most prudent to optimize their cardiovascular health by living a healthy lifestyle and speaking with their doctors about risk reduction tools and interventions that may be appropriate for their situation." SOURCE: Journal of Clinical Oncology, July 20, 2007. 5. Hewitt M, Simone JV, editors. National Cancer Policy Board: Ensuring Quality Cancer Care. Washington D. C.: National Academy Press; 1999. 22. American Joint Committee on Cancer: AJCC Cancer Staging Manual. ed Fifth. Philadelphia: Lippincott Williams and Wilkins; 1997. pp. 171–181. 25. American Hospital Association: Hospital Statistics. ed 2000. Chicago (IL): 2001. 1 Reactie op "Vrouwen waarvan de linkerborst is bestraald hebben significant meer risicio op hartklachten later in hun leven dan de vrouwen waarvan de rechterborst is bestraald." Na het lezen van dit artikel heb ik definitief besloten mij niet te laten bestralen. Ik heb Dcis graad 3 en laat het bij de operatie. Gewoon 1 keer per jaar mammografie.